Her's a quick walkthrough and strategy guide for the Acton RPG game ZENONIA S: Rifts in Time. Follow the guide below and watch out for notification icons in-game, it needs your attention. Pick a character that suits your play style. For beginners, the Slasher or Fighter is highly recommended because it's easier to control than the range type ones, and with better survivability too. - Just pump all Stat Points to their respective Primary Stats. 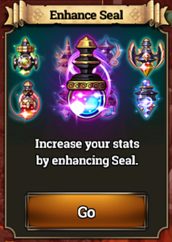 - Note that every character has their own unique stats growth per Stat, and increasing their Primary Stat will definitely increase their Attack with good numbers. Yep!, even a Fighter who is a tank will get a nice ATK+ per Stamina! - 2 Primary Stat and 1 to Any Stat you like, most likely to Stamina, to increase survivability. - Since Fighters already have Stamina as their Primary, they can go for +1 DEX. - Note: These are not the only way to build a hybrid character. - You'll get 1 Skill Point per Lvl, and +5 every after Awakening. - Do not use all Skill Points every after Lvl up. Save them for later for maxing your main skills after using the [Awakening] feature. Awakening increases the Lvl caps of your skills to +3. - For Passive Skills, I highly recommend the increase [Attack+%] and [Defense+%] because they yield great bonuses at higher levels. - Go here and refer to the Character Stats and Skill Builds Section of the page. 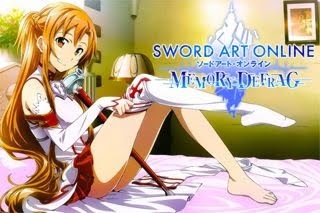 - Get your Login reward: Gold, Item/Fairy/Gem Coupons, Sweep Tickets, or Identity Scrolls. - Note that rewards may change according to the current event. - [1st Slot] = Receive Stamina by logging in everyday at a specific time. - Example:(GMT +8) [8AM~10AM], [12PM~3PM], [5PM~7PM], [9PM~11PM]. - [2nd Slot] = Here you can see the next type of Stamina that you can claim. - Claim once a day, and right after you increase your VIP Lvl. - Every time you complete missions, you will get a number of [VIP Points] that will increase your VIP Lvl. Depending on your current VIP Lvl, you will get various benefits, and milestone gifts. - Do these missions first, since it has the least time limit available. - Complete what you can at your own pace, then claim your rewards. Holding On to Items, Again! - Similar to the Mailbox idea above, some active players also use the same method to maximize their VIP gifts, Weekly, Event and Achievement rewards here. - Optional for non-active players, but still recommended. - Hold on to your Item Coupons: (Grade B or higher: Gears, Accessories, and Gems) until the timer is about to expire or when you reach around Lvl 30. - If you can hold on to them much longer, the better. - Note: For Weekly and Event Missions, keep in mind that they have time limits also. - Unused gears above can still be used for cheaper [Enhancing], Gear Grade [Upgrading], and for increasing the [Seals]. - Send or Claim Friend Points. - Accumulate 20 Friend Points to gain a Friend Points Reward! - Get more Friend Points from your Mailbox's Participation Rewards. - Note: Play the game with a HIVE Account (or link your Facebook account) to be able to invite/accept friends in-game, this feature is not available for Guest Accounts. - Check for Friends Requests and accept them to assist you in your dungeon runs (Fairy Tower), friend related missions, and Friend Points collection. - Add all active players you can find or need. Add via the [Add Friend] feature, or just go to town, then click on players' characters to open the Friend Request window, add them if you want. - Add players that are around your Lvl for a higher chance to get accepted, but still try to add high level players. - Example: If your character can't take damages well, better add friends or players using Fighters or Slashers, they will help you tank mobs and bosses. - If your character is a tank, and you want to quickly finish things up, add players using high DPS characters like Magicians, Assassins, and Rangers (Fighters or Slashers are still ok though). 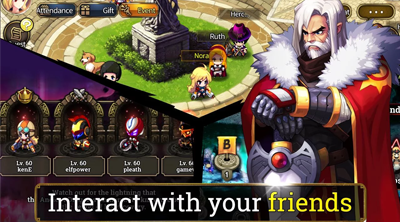 - Under Friends List, check and unfriend players that are inactive for a very long time and way below your level, this will clear up some space so that you can add more players to help you in your Dungeon Runs (Fairy Tower). - This is different from the Add Friend feature above, because you need to add friends directly from your HIVE Account, not in-game. 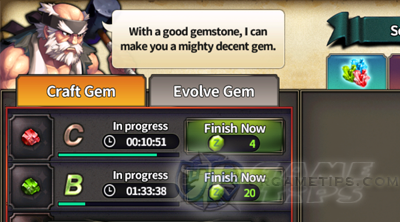 - Open the Craft menu and start Crafting all Gemstones you have into Gems. - This is where you can get all claimed freebies. - You can hold on to your items for maximum of 3 Days, after that they will disappear, so be careful. Why Hold on to Your Mailbox Items? - In order to maximize their rewards, they will only redeem Coupon items (Grade B or higher: Gears, Accessories, and Gem Coupons) that are about to expire, this way, they can get better quality of items. - Note that items redeemed is based from your character's current Lvl, this is a good idea especially early game. - Optional for non-active players. - You can reset or re-roll a gear's stats for free once a day. After that, the Gold amount increments per reset attempt. - Tap the gear you want, then go to the [Customize] menu then [Reset] tab. - The Seals feature unlocks at Lvl 25, a place where you can get more bonus stats for your character. Just upgrade what you can, this is better done late game though. What Time Does the Server Reset? - Go to your Daily Mission tab, check the Remaining Time, then adjust according to your own time.